(REUTERS) -- Oil giant BP has lost its attempt to shift over $15 billion of costs related to the Gulf of Mexico oil spill onto contractor Transocean, increasing the possibility BP may have to foot the entire $42 billion clean up bill. Thursday's decision means Transocean's potential liability over the April 20, 2010 Deepwater Horizon drilling rig explosion that caused 11 deaths, was "materially diminished" analysts at UBS said in a research note. BP has said it would like to reach an out of court settlement with Transocean but Barbier's ruling makes its negotiating position weaker. Both sides claimed victory over the ruling, which Transocean spokesman Lou Colasuonno said "discredits BP's ongoing attempts to evade both its contractual and financial obligations." BP said the decision "holds Transocean financially responsible for any punitive damages, fines and penalties flowing from its own conduct. "As we have said from the beginning, Transocean cannot avoid its responsibility for this accident," spokesman Daren Beaudo said in an emailed statement. January 26, 2012 - Iran's Majlis, or parliament, is considering a plan to cut oil exports to Europe before an EU embargo comes into effect on July 1 and will start an open debate on the motion on January 29, two deputies said January 25. "This bill will oblige the government to stop sales of oil to Europe before the European Union starts Iran's oil exports sanctions," Hassan Ghafourifard told parliamentary news agency ICANA. "If Iran's oil is sanctioned by the European Union, Iran doesn't have to sell its oil to Europe," he said. The bill will be debated in parliament in a public session on January 29, he said. Another member of the Majlis energy committee, Naser Soudani was quoted by the semi-official Fars news agency as saying that the move was supported by a number of deputies. "Together with several other members of parliament, we are pressing to approve a plan, whereby all the European countries which have targeted Iran with sanctions, will not be able to buy one drop of oil from Iran," Soudani said. "The oil tap will be turned off to them so that they don't play with fire any more." 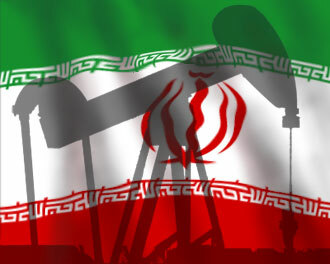 EU foreign ministers on January 23 approved an embargo on Iranian oil exports to Europe from July 1. 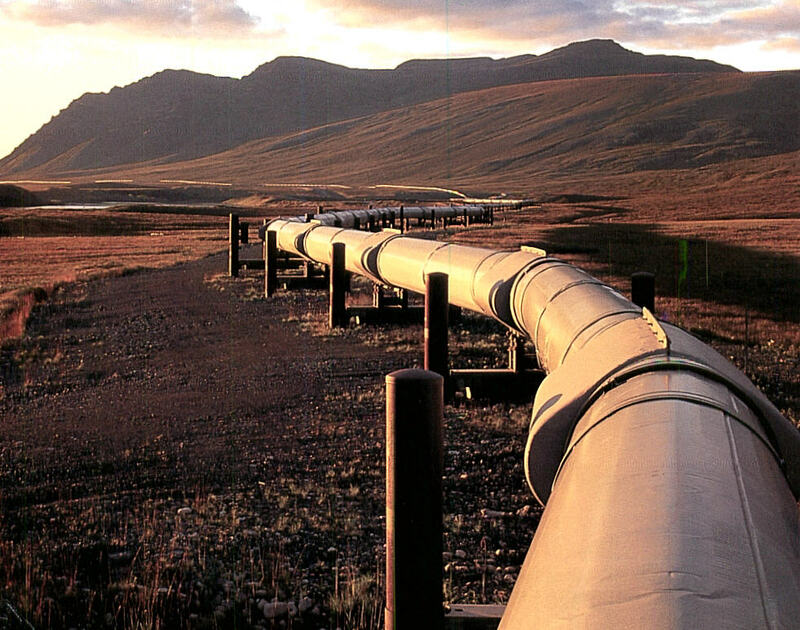 Iran exports around 450,000 b/d to Europe, according to the International Energy Agency. Iran's NIOC has put total exports at 2 million b/d. The move by the Majlis, which is dominated by conservatives, follows a call by a former intelligence minister and prominent cleric, who suggested January 23 that oil exports to Europe be halted before the embargo comes into force. "In the next part of the game that Europe has started, it will burn in the oil wells of Iran and the damage of the plan they worked out [for us] will be inflicted on them," Soudani said. "The first reason is that some European countries have no other way but to buy oil from Iran and their refineries are compatible with the specifications of Iran's oil and it's difficult for them to replace Iranian oil," he added. The second reason, he said, was that the sanctions will lead to higher prices and "the Europeans will have to buy oil at a higher price, and the third reason is that the Europeans...will have to buy Iranian oil indirectly through middlemen and this will add to their costs." Iran's oil ministry and the state-owned National Iranian Oil Co. have said the country has contingency plans and can divert its exports to other markets. The OPEC state's biggest market is Asia, with China the single biggest buyer of crude oil and also the biggest foreign investor in Iran, where Chinese state-owned companies are involved in a number of multi-billion dollar upstream projects. Soudani said that should China join the sanctions against Iran, it would be thrown out of the projects. "In the economic arena, we are witnessing a confrontation of powers. But India has announced that it can't do without Iran's oil," Soudani said. One of the world's largest oil refineries will close next month, the company has announced, threatening to upend the reeling economy of the US Virgin Islands. Industry analysts said the closure is unlikely to have a major effect on the global oil market, but will be a blow for the US territory of about 108,000 people. Losses at Hovensa, a joint venture of US-based Hess and Venezuela's state-owned oil company, have totaled $1.3 billion (€1 billion) over the past three years and were projected to continue due to reduced demand caused by the global economic slowdown and increased refining capacity in emerging markets. Hess announced in New York that it will take a $525 million after-tax charge against its fourth-quarter 2011 earnings due to the shutdown. The refinery, founded in the 1960s, has been producing about 350,000 barrels per day during the rough economic climate. It relies on oil for fuel while competitors on the US mainland use less expensive natural gas. 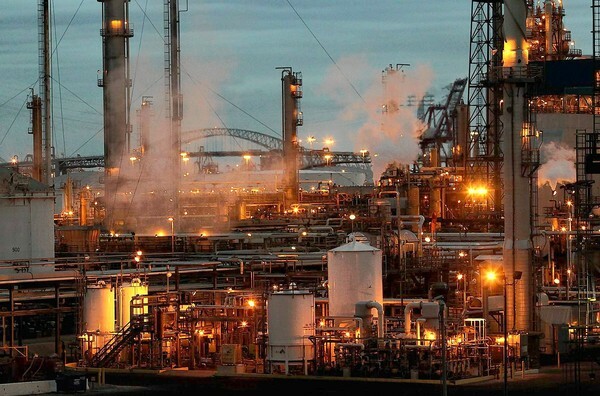 Hovensa was the third largest US refinery before it cuts its capacity of 500,000 barrels by 30% last year. It is now the eighth largest, according to the US EIA. Dozens of workers wondered where they would go after the refinery is converted to an oil storage terminal. The company's website says it is still one of the 10 largest oil refineries in the world, but the closure is not expected to have a major effect on the oil industry because it had not been operating at full capacity, said Fadel Gheit, senior energy analyst for Oppenheimer & Co.
Hess benefits because it had been hemorrhaging money through the refinery, he says. The closure reflects a three-year trend across the US of refineries closing because of the global financial crisis, a drop in petrol consumption and a shift in growth elsewhere. ‘They cannot compete with the modern refineries being built in India, China and the Middle East,’ he explains. Despite the closure, the US remains Venezuela's largest customer, and Venezuela is still among the top four suppliers of crude oil to the US. 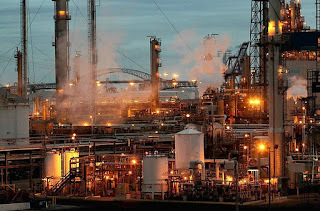 Alejandra Leon, a Latin America oil analyst for Cambridge, Massachusetts-based IHS CERA, said that in 2010, PDVSA reported the Hovensa refinery processed 389,000 barrels a day, of which 227,000 barrels a day were supplied by Venezuela. She said it wasn't clear where the remainder came from. She said there is an excess of refining capacity globally, so Hovensa's closure ‘is helping to rebalance the market. 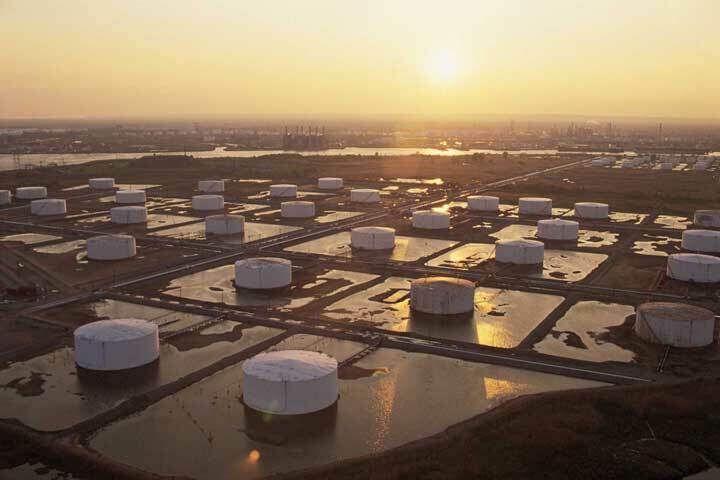 Oil storage facilities in Cushing, Oklahoma, will gain 7 million to 8 million barrels of additional capacity in 2012 as rising supply creates ‘bottlenecks’ at the pricing point for crude futures traded in New York, the International Energy Agency says. The capacity to stockpile oil in tanks increased 11 to 14 million barrels last year after rising by no more than 5 million barrels a year between 2005 and 2010, the Paris-based agency said in a monthly report today. ‘Storage capacity expansion may continue at an accelerated pace until such time as pipeline capacity to evacuate crude to coastal refining centres catches up,’ the IEA said. West Texas Intermediate crude on the New York Mercentile Exchange has traded at a discount of as much as $28 a barrel to London-traded Brent over the past year as the volume of inventories at Cushing rose. The storing of crude was encouraged by so-called contango, where oil for delivery several months in the future sells at a higher price than oil for delivery at the end of the month, the IEA said. Canadian Prime Minister Stephen Harper expressed his ‘profound disappointment’ with the decision. Tullow Oil Plc, the lead company in Ghana's oil production, said on Wednesday that it expected production at the Jubilee oil field for 2012 to average between 70,000 and 90,000 barrels. “Gross Jubilee production is currently over 70,000 barrels per say and following a number of remedial activities is expected to average 70,000 to 90,000 barrels in 2012,” it said in a statement. It said Jubilee field production would ramp back up in 2012 towards the field plateau rate of 120,000 barrels as the Phase 1 remedial programme began to take effect from January 2012 and the new Phase 1A wells were brought on stream from the second quarter. “The final outcome will be dependent on the well performance achieved, the downtime required to execute the recompletions and the scheduling of available rigs for other operations to ensure the Group’s exploration and appraisal commitments are also fulfilled,” it said. Gross production from the field reached 88,000 barrels during 2011 before declining to approximately 70,000 at year-end, with an average production for the year of 66,000. "The cause of this decline in well productivity has been identified as a technical issue related to the design of the well completions and is not expected to have any impact on field reserves and resources. 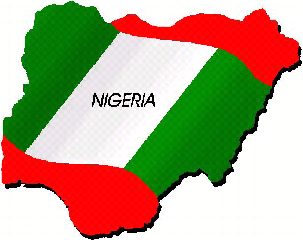 Remedial work aimed at recovering lost well productivity has commenced with the successful sidetracking of the J-07 production well utilising a new completion design," the statement said. the last carries 950,000 barrels. * The volume is a rise from one cargo for February. burn oil with lower sulphur content. expected 5 cargoes would be available for March. plus $2.80 in February from January. March requirement after purchasing about 12 cargoes via tender. available to sell, traders said. with some of the cargoes seen going to home refining systems. Feb. 29-30 has not been sold, traders said. Ghana Oil Company Ltd. (GOIL), which runs the second-biggest network of gasoline stations in the West African nation, rose to the highest in three days as investors speculate revenue increased because of a new marketing plan. The stock gained 1 pesewa, or 3.1 percent, to 33 pesewas, as of 2:39 p.m., in Accra, the capital, the highest since Jan. 17. The company’s results are expected by the first week in February, Lomotey said. (Bloomberg) -- The U.S. rebuffed Iran’s demand not to return an aircraft carrier to the Persian Gulf, a “warning” from Tehran that helped send oil prices to the highest in almost eight months. The U.S. said it will continue to protect freedom of navigation in the region. The Pentagon doesn’t announce future ship movements and declined to say when the U.S. may send a carrier back to the Gulf following the departure of the USS John C. Stennis last week. He didn’t say what action Iran might take if the U.S. ignores the warning. His statement follows threats from other Iranian officials in recent days to block oil shipping through the Strait of Hormuz in a conflict over new economic sanctions. The Stennis, which Iran said it spotted during naval exercises, passed eastward through the Strait of Hormuz on Dec. 27 on a routine voyage and was operating in the northern Arabian Sea, according to the U.S. 5th Fleet, which has a base in Bahrain. “We are not seeking a confrontation,” State Department spokeswoman Victoria Nuland said yesterday at a briefing in Washington. The U.S. military will continue to play a role in ensuring freedom of navigation, she said. The U.S. Navy maintains a “constant state of high vigilance” to “ensure the continued, safe flow of maritime traffic in waterways critical to global commerce,” George Little, a spokesman for the Pentagon, said in an e-mailed statement yesterday. 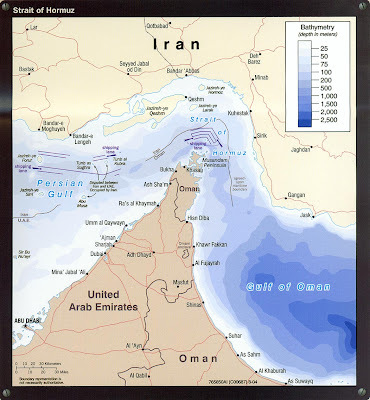 Salehi spoke yesterday at a ceremony to mark the completion of 10 days of maneuvers by the Iranian navy on the east side of the strait in the Gulf of Oman. Iran doesn’t intend to disrupt shipping in the Strait of Hormuz, Deputy Navy Commander Rear Admiral Mahmoud Mousavi said Jan. 2, according to Press TV. Oil climbed to the highest since May 11 after manufacturing in the U.S. and Asia expanded in December and as concern persisted that further sanctions against Iran may disrupt shipments. Crude oil for February delivery rose $4.13, or 4.2 percent, to settle at $102.96 a barrel on the New York Mercantile Exchange. Futures climbed 8.2 percent in 2011, the third consecutive annual increase. The U.S. Navy said Dec. 28 that it won’t tolerate a disruption to shipping in the strait. The Stennis transited the Strait of Hormuz after a port visit to Jebel Ali in the United Arab Emirates, Navy Commander William Speaks, a Pentagon spokesman, said in an e-mailed response to questions yesterday. Iran, the world’s third-largest oil exporter, is facing new sanctions on its trade and finances aimed at halting what the U.S. and allies say is a plan to build nuclear weapons. Iran says its atomic program is for peaceful purposes. Inspectors from the International Atomic Energy Agency are expected to visit Iran soon, the Fars news agency cited Foreign Ministry spokesman Ramin Mehmanparast as saying in Tehran yesterday.